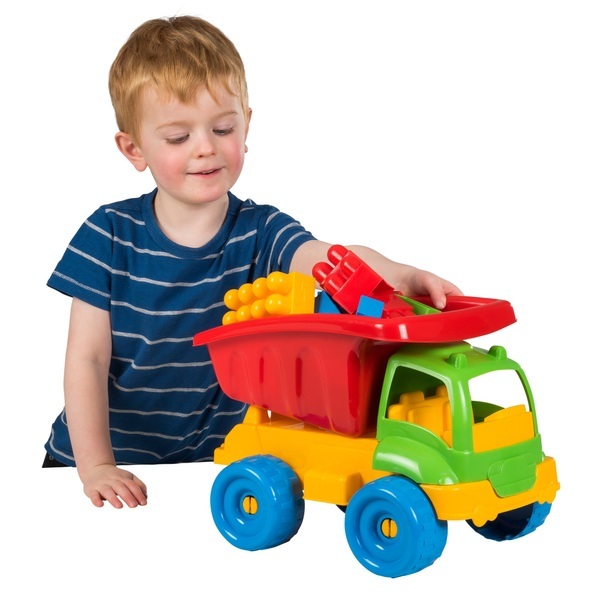 Kids will love playing with this Dumper Truck. Comes with manual tipping action and 30 building bricks. The truck is brightly coloured with an attractive design.